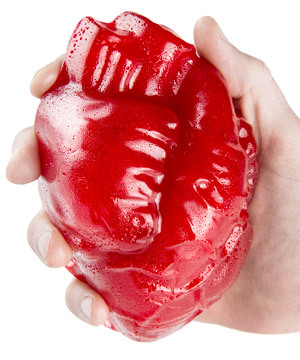 World’s Largest Gummy Heart: Delicious and realistic-looking human heart candy. If you’ve got sugar running through your veins, don’t miss a chance to take a bite out of the World’s Largest Gummy Heart. This cardiac candy boasts 1.5 pounds of delicious cherry-flavored gummy with impressively realistic details. The textured gummy surface has bulging veins and arteries to make a replica so life-like that you’ll think it was pulled right from a sugary surgery. The heftiness of this heart makes it easy to be an organ donor; share the treat with a friend who appreciates the weird and the tasty. Yes, eat your heart out! This is one candy heart that isn’t trying to be cute. The World’s Largest Gummy Heart is a weird, crazy-awesome, and impressive representation of our circulatory center. The cherry-flavored replica is about the same size as the human organ with extra heft to make sure you get your fill of gummy. Admire the raised arteries and sloped segments before you take a delicious bite. The realistic-looking treat would be more at home in a medical textbook than a Valentine’s Day card. 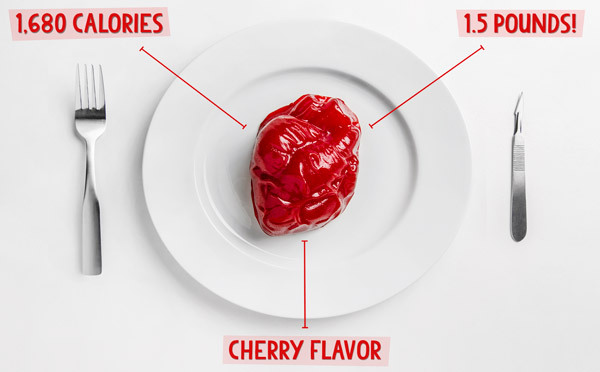 Whether you prefer a juicy aorta or you’re more of a ventricle person, every bite of the Gummy Heart is a mouthful of tasty cherry gummy. Like our other gummy products, this thing is chewy, fruity, and delicious. So go full Hannibal Lecter on this candy organ and start chowing down. It takes heart to finish this giant snack. 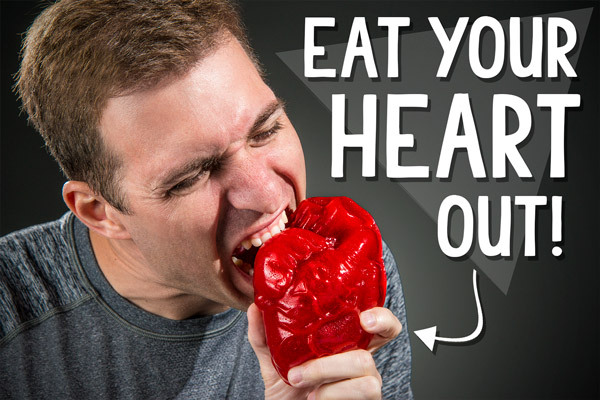 If you bleed gummy, the World’s Largest Gummy Heart is the treat for you. This sizable snack is a solid 1.5 pounds of pure cherry gummy. That’s bigger than an actual human heart and more than enough to outsize your stomach. This thing has more heart than Rudy. Question: Is this life-like on the inside too? 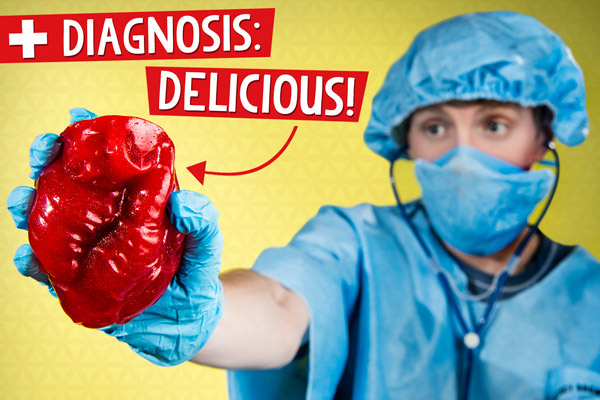 Answer: The World’s Largest Gummy Heart has human heart details on the front and sides only. The back and interior are un-styled gummy. Question: Will this make me develop a taste for human flesh? Answer: No, but this might.